Paavo Jarvi, Cincinnati Symphony Orchestra. Telarc CD-80743. A lot of Holst's music seems raucous to me, but his masterpiece, The Planets, remains one of the mainstays of the classical catalogue for good reason. These little tone poems, based on both the planetary bodies and the Greek gods, show infinite variety and imagination. With endless opportunities for a bravura performance and showcase sound, it's no wonder so many conductors and record companies choose to put it on disc. 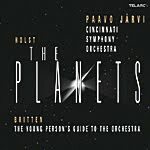 While Paavo Jarvi's reading of The Planets is perhaps not in the same league as Adrian Boult's performance (EMI) interpretively or Andre Previn's recording (EMI) sonically, it's serviceable and has the advantage of ultrasmooth sonics and the coupling of Britten's Young Person's Guide to the Orchestra. One could do worse. Jarvi starts out well with "Mars, the Bringer of War," taking its somewhat goofy march at a fairly healthy clip, yet keeping in mind the martial energy it must convey. Jarvi builds up a good head of steam that should satisfy most listeners. The calm of "Venus, the Bringer of Peace" makes an apt contrast, and Jarvi manages the transition nicely. "Mercury, the Winged Messenger" and "Jupiter, the Bringer of Jollity" could have used a touch more humor, but they're OK. "Saturn, the Bringer of Old Age" has always struck me as being the downer in the set, and nothing Jarvi does or doesn't do can change that. "Uranus, the Magician" is without a doubt the real barnburner among the segments of The Planets, and for the longest time I've used Previn's recording (EMI-Toshiba) as a demo piece. Unfortunately, Jarvi tends to rush the movement, substituting speed for excitement or intrigue. "Neptune, the Mystic" concludes on an appropriately tranquil note, disappearing quietly into the ether as it should. Benjamin Britten wrote his Young Person's Guide to the Orchestra for a 1946 educational film that illustrated the sounds of various instruments in a symphony orchestra. Although Britten's own Decca recording has always been a personal favorite, Jarvi's makes a fine second choice. The conductor gives every instrument its proper due as well as making the Henry Purcell music on which it's based sound fresh and new. 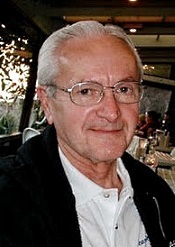 As to the sonics, Telarc recorded the Holst in 2008 and the Britten in 2006, using essentially the same recording equipment, the same recording venue, and the same recording engineer, Michael Bishop. Yet they sound different. The Holst needs more bottom-end oomph, a more prominent bass than it gets here. The Britten, however, does have the needed bass; in fact, it reminds one of the kind of bass punch for which Telarc has always been famous. Both recordings maintain Telarc's well-known fullness and smoothness, although the Holst tends to get a little more congested than the Britten in its loudest passages. One can notice this most obviously in the first movement of the Holst. Otherwise, the sound of both works is quite easy on the ear, if a little less transparent than it could be. Marin Alsop, London Philharmonic Orchestra. Naxos 8.557430. 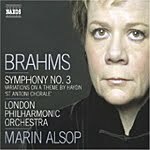 Marin Alsop continues her Brahms symphony cycle, releasing them in order, this Third Symphony coupled with the Variations on a Theme by Haydn. Although the Symphony has something to recommend it, I rather enjoyed the Variations more. Again Naxos designate this an important disc by providing the jewel box with its own slipcover. But as a friend pointed out to me recently, it is part of the upscale image Naxos is trying to project. Ms. Alsop is a top-notch conductor, the London Philharmonic is among the world's great ensembles, and the repertoire is as mainstream as you can find. For this, you also get a price that inches upward from the budget category toward the mid-price range. Anyway, what we have in Alsop's Brahms Third is another pleasant but not spectacular performance. In most respects, it's a rather conventional approach, which I found, frankly, a tad sluggish compared to my favored conductors--Klemperer (EMI), Boult (EMI), and Abbado (DG). Alsop's interpretation favors the slow inner movements, with the Andante and Allegretto coming off smoothly and poetically but the outer movements lacking the grandeur of Klemperer or the mellowness of Boult. Certainly, one wants a degree of contemplation and reserve in the Third, and if that was Alsop's priority, she managed it well. Critics generally consider the Third Symphony Brahms's most intimate, and it's easy for it to come out sounding a bit stuffy if the conductor does not apply enough feeling of personal satisfaction. For me, Alsop's interpretation lacks passion in the opening section and conviction in the finale. It is, as I say, only in the pastoral inner segments that I found her calm reassuring. The Naxos sound is also a bit of a snag. Like the other releases in this series, it is big and warm, plush and cushy. The problem is that if one puts on the Klemperer or Boult discs for comparison, one hears in an instant the greater transparency in those older recordings. Then when you consider that EMI have made all four Klemperer recordings available in a two-disc, mid-price set, the competition narrows considerably. Herbert von Karajan, Berlin Philharmonic Orchestra. DG 477 7161. I have to admit I've never been the biggest fan of Herbert von Karajan, finding much of his music-making rather glossy, often creating gorgeous sound paintings at the expense of the music itself. This is somewhat at the opposite extreme of one of my favorite conductors, Otto Klemperer, who tended to emphasize the music so much that audiences sometimes lost sight of its beauty. Maybe you can't always win. In any case, Karajan became one of the most prolific, celebrated, and popular conductors the world has ever known, and the two record companies with which he did his most-famous work, DG and EMI (from the 1940s until his death in 1989), are commemorating his one-hundredth anniversary with a series of reissues. 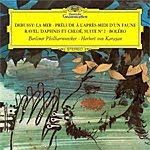 This one, which includes works from Debussy and Ravel, are among the best recordings he ever did. The highlight of the disc is Karajan's 1964 Berlin Philharmonic rendition of La Mer. It is splendidly resonant with atmosphere and color, all awash in Karajan's lushly extravagant orchestral style. The accompanying note suggests that since Karajan was an avid yachtsman, his love of the sea is reflected in this interpretation. I can't argue with that. There is no doubt the performance is powerful and evocative of the sea or that it is one of the finest readings of Debussy's score ever put to disc. The other performances are no less inspiring, the impressionist feeling of Debussy's Prelude a l"apres-mide d'un faune and Ravel's Daphnes et Chloe Suite No. 2 coming through with passion and imagination. Yet it is Ravel's Bolero that really shines. I had actually not heard Karajan's version of it before (at least not for years and couldn't remember it), and it is quite astonishing. It's one of the few versions that didn't put me to sleep halfway through, the conductor maintaining a steady pace yet increasing the music's energy and vitality as he goes along without losing one's interest. The sound is typical of DG in that it has a wide dynamic range, but it also seems to lose some sparkle at the high end, perhaps due to noise reduction. I doubt that anyone will object, as the audio is still quite nice, and it complements well the dreamy imagery of the music. The disc comes housed in a Digipak case that emulates in miniature the old LP jacket, with the disc looking like a miniature vinyl album. Gerard Schwarz, Royal Liverpool Philharmonic. Artek AR-0041-2 2-disc set. The idea of combining Mahler's very first and very last completed symphonies in the same set seemed pretty appealing to me. After all, you get to hear, contrast, and compare the composer's stylistic progression from beginning to end in one sitting. It might have worked better for me, though, if I hadn't made the mistake of starting with the First Symphony. 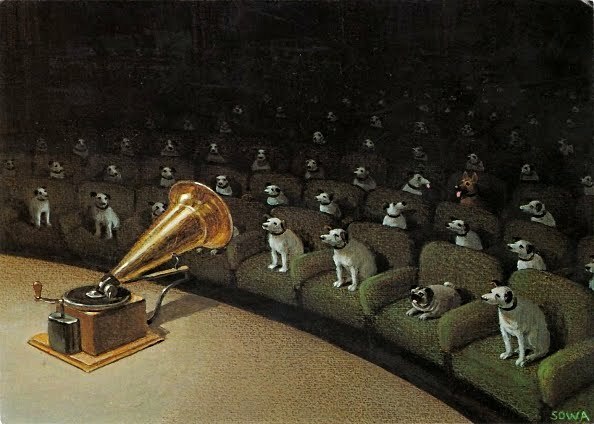 You see, on the discs, it's Symphony No. 9 that begins things. No, I couldn't do it that way. 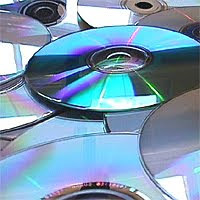 I figured the best way to judge these things was to start with the earliest symphony, which begins on the second disc. The problem is that the First Symphony is Schwarz's weakest performance of the two, which may have clouded my judgment for the conductor's reading of the sublime Ninth. So, what's wrong with Schwarz's First? At first I wasn't sure. Frankly, it sounded too slow to me. So about halfway through the recording, I checked Schwarz's timings against four other Mahler Firsts on my shelf. Schwarz was the fastest of all in all four movements. How could this be? I think it's because Schwarz shows such little expression. His tempos never seem to vary; there is seldom any color or expression anywhere in sight. The First Symphony should begin in hushed silence, which Schwarz carries out well, but by the end (by of each movement and by the finale) it should be exultant. Schwarz misses the exultant part. Put alongside Solti (Decca), Mackerras (EMI), Horenstein (Unicorn), and Tennstedt (EMI), I found Schwarz downright dull and unimaginative. 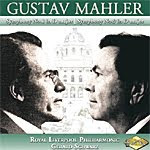 Then came the Ninth, the crowning jewel in Mahler's symphonic cycle, its expressionistic content interpreted by some conductors as an optimistic journey into the light, ending in sweet and everlasting repose, and by others as a pessimistic look into the world's future where degeneration and decay would be our lot. At the time he wrote it in 1909, Mahler was well aware of his own illness and possibly imminent demise, and he probably foresaw the coming of the First World War and the end of civilization as his generation had known it. Yet under Schwarz, one doesn't quite get the feeling of either of these interpretations. Instead, we get a stately, almost angelic response from the conductor throughout, again with little change of pace and with little emphasis or difference in phrasing, as though somebody or something were holding him back from really expressing himself. Here, try Haitink (Philips) or Klemperer (EMI) or Barbirolli (EMI) or Karajan (DG), and you'll hear the difference. There is a real place for idiosyncrasy in Mahler; otherwise, we get blandness. Artek's sound, too, is somewhat ambiguous. It is smooth and mellow, yet detailed and natural. At the same time, it's so unassuming it's almost as bland as the performances. Again, a quick comparison with any of the conductors and labels I've mentioned reveals with them a greater opening up of the sound, with greater transparency, dynamics, and impact. So, while some listeners will undoubtedly find this new recording from Schwarz and company gorgeous and serene, it is not exactly a coupling I can support, despite the good intentions. Cantata "Ich Hatte viel Bekummernis" BMV 21. Greta de Reyghere, soprano; Rene Jacobs, alto; Christopher Pregarden, tenor; Peter Lika, bass. 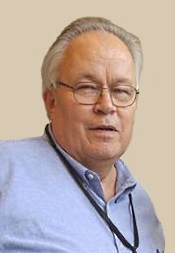 Sigiswald Kuijken, Nederlands Kamerkoor, La Petite Bande. Virgin Classics 0946 363299-2. This 1988 Virgin Classics mid-price reissue is one of the most-lively Bach choral interpretations and one of the finest-sounding choral recordings of any Bach music I can remember. It goes without saying that Sigiswald Kuijken and his La Petite Bande are going to provide as authentic and zesty a performance as one could wish for, but combined with Virgin/EMI's clear, natural sonics, the combination is irresistible. 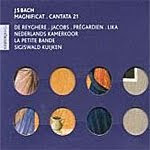 Like Martin Pearlman in a more-recent Telarc period-instruments reading with the Boston Baroque Orchestra, Kuijken chooses to play Bach's revised Magnificat in D-major rather than the earlier one in E-flat (or any of the other revisions Bach apparently made along the way). Many other period conductors prefer the original as somehow being more authentic, but it was Bach himself who revised the piece about ten years after its première, supposedly in order to remove some Christmas hymns that tended to limit its value year round and to lower the key to make it more comfortable for several of the instruments. In any case, both Kuijken and Pearlman with their respective soloists and choirs play it as well as any Magnificats I've heard, thanks to the refined liveliness of both sets of performers. Where Kuijken and his La Petite Bande have the advantage, though, is the sound. The Telarc is fine, but it doesn't seem as though it has much depth. The engineers made it for multichannel playback, and in two-channel stereo that tended to rob of it some stage dimension. The Telarc also sounds, by comparison to the Virgin release, a bit more clouded, the Virgin more transparent. This is not to take anything away from the Telarc, which is still quite good; it's just that the Virgin recording is better. Yet the Virgin recording never sounds bright or shrill or edgy. It appears perfectly realistic from beginning to end. The Virgin coupling, Bach's Cantata BMV 21, also comes across well and deserves a place alongside the more-famous Magnificat. It's just that works with descriptive titles tend to stand out in the public's mind more than numbered cantatas. This is a splendid offering in every way. Valery Gergiev, Orchestra of the Marinsky Theatre. Decca 475 7669. 2-disc set. With Gergiev you get exactly what you expect to get: an exciting, exhilarating, fast-paced adrenaline rush. If that's the kind of performance you want in your Tchaikovsky (and, after all, it is Tchaikovsky), that's what you'll find here. The thing about Tchaikovsky's ballets, though, is that they don't always respond well to the kind of big, fast, energetic treatments that the later symphonies do. And that seems to be Gergiev's signature. 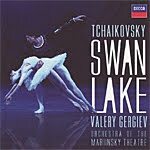 Coincidentally, the same day I decided to listen to this new Gergiev interpretation of Swan Lake on Decca, I received in the mail a highlights disc of the work I had ordered from Amazon. It was something I had never found on CD before but had owned long ago on LP; namely, the 1961 Anatole Fistoulari recording with the Concertgebouw Orchestra, also on Decca. So, after listening to the first of the two Gergiev discs, I put the Fistoulari on and gave it a go. I have to admit, I was in an altogether different world. Where Gergiev was all thunder and lightning, Fistoulari was Old World--elegant, refined, relaxed, and sweeping. Maybe I'm just an old fogey, but I much preferred Fistoulari. Now, here's the other thing: As I listened to the Gergiev set, a 2007 studio recording, I enjoyed the strong dynamics and the impressive impact. Because over forty-five years separated the two records, I expected the older Fistoulari disc to sound considerably less impressive. Surprise. While the older recording was almost as dynamic, it added a smoother yet just as detailed midrange, a better bloom, and a more extended high end. Indeed, when I went back to the Gergiev, the newer recording actually sounded slightly duller and more muffled to me, especially in the upper mids. I'm not sure what to make of this. Certainly, there is nothing wrong with the new Gergiev set, if you don't mind leaving the performance somewhat exhausted. But the old Fistoulari fully lived up to my memory of it and will undoubtedly provide me the longer-lasting listening pleasure. In any case, if it's a complete Swan Lake you're looking for, you can't go far wrong with Gergiev. However, I would also suggest Andre Previn's 1976 EMI set as perhaps the best compromise possible in the complete ballet; he's both lively and graceful, and the sound is still first rate--the best of all possible worlds. 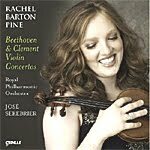 Rachel Barton Pine, violin; Jose Serebrier, Royal Philharmonic Orchestra. Cedille CDR 900000 106. 2-Disc Set. In the accompanying booklet note, violinist Rachel Barton Pine thanks various people for making this recording possible, but she forgets the one person who may have contributed most to its success: Cedille recording engineer Bill Maylone. Although these are lovely interpretations prepared with utmost care, it is the recording quality that sets the performances apart from the competition (in the Beethoven, anyway). The sound is warm, ambient, spacious, yet wonderfully detailed, with a wide stereo spread, a realistically balanced soloist, and about as good a sense of orchestral depth as I've heard in a while. Thank you, Mr. Maylone. Here's the thing: Everybody knows the Beethoven Violin Concerto, but who's this Clement guy? Well, it turns out that when Beethoven wrote his Concerto in 1806, it was probably Clement who inspired him. Clement had premiered his own Concerto in 1805, with Beethoven in attendance. When Beethoven premiered his violin concerto a year later, he inscribed it to Clement and even asked Clement to perform the inaugural reading. The funny thing is, according to the booklet note, some critics at the time compared Beethoven's Concerto unfavorably to Clement's of the year before, saying that in Beethoven's work "the continuity often seems to be completely disrupted, and the endless repetitions of a few commonplace passages could easily lead to weariness." The Beethoven Concerto went on to become one of the mainstays of the classical repertoire, and the Clement Concerto died in obscurity. Again, the note explains that it hasn't been played publicly in two hundred years, and this Cedille disc represents its first recording! The similarities between the Clement and the Beethoven Concertos are striking, besides their both being in D Major. Both begin with long, massive opening movements, which are nevertheless filled with affection and geniality, in which the soloist doesn't enter until after a lengthy introductory passage; the slow middle movements are serene and contemplative; and both works close with Rondos of high-spirited charm. Ms. Pine plays both pieces with an expressive glow, never showboating with pyrotechnical wizardly but rather taking a leisurely approach in all but the final movements. So, you won't find as much excitement here as with a number of other violinists, but you will discover some other sublime pleasures, interpretively and sonically. The two-disc set is a delight. Death and the Maiden, orchestral adaptation by Andy Stein; Symphony No. 8, completion by Brian Newbould and Mario Venzago. JoAnn Falleta, Buffalo Philharmonic Orchestra. Naxos 8.572051.0. While many classical-music purists would undoubtedly view this disc as a curiosity at best, it's more than that. In its way, it's rather pleasurable, if you don't mind its being somewhat out of the ordinary. 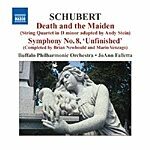 The first item, based on Schubert's Death and the Maiden quartet, is an orchestral adaptation for full orchestra. Not that it's a new idea; the Mahler rendition has been around for quite a while. What makes this adaptation by American composer and arranger Andy Stein different is that it goes beyond simply adding more strings, and fills out the horns and timpani as well. The result is intriguing, if not a little frustrating. The larger forces make the work sound a lot less sinister and intimidating than the lighter quartet, the latter providing a more lively and provocative dance of death. The second movement "chant of death" and its variations in particular seem odd, the orchestra turning things more than ever into a literal funeral march. Needless to say, the big orchestral treatment takes away much of the quartet's transparency as well, replacing it with more body than we might want in so otherwise intimate a work. Still, the big orchestral arrangement does provide a symphonic weight that can be oddly pleasing much of the time. The completion of the Symphony No. 8 is another matter, however. No one knows why Schubert dropped the symphony after completing only the first two movements. 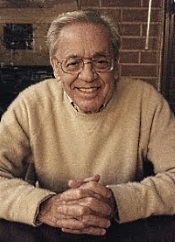 He apparently gave away the parts he had written, and nobody ever performed them in his lifetime. Nevertheless, the two-movement "Unfinished" Symphony has stood the test of time, becoming one of the classical world's sturdy warhorses. Of course, other people over the years have attempted to finish the final two movements, with limited success. This one is as good as any and better than most. English historian and Schubert scholar Brian Newbould reconstructed what he believes were Schubert's intentions for a third movement Scherzo, basing his reconstruction on notes and sketches the composer left behind. Then, for the final movement, Swiss conductor Mario Venzago suggests Schubert's "Entr'acte No. 1" from the Rosamunde music, which Schubert wrote a short while after setting aside the Eighth. Venzago speculates that Schubert intended it originally as a part of the symphony in the first place. I don't know. I suppose the additions work in their way, but I don't see any need for them. I could never accept them as "completing" the symphony. The "Unfinished" is too familiar the way it is for any additions to sound like anything but what they are: additions. When they come along, it's as though we had finished the real symphony and were now merely listening to something altogether different rather than a continuation. That said, it's still good music, and Naxos does a splendid job recording the Buffalo Philharmonic, which Ms. Falletta conducts with appropriate vim and vigor. The sound is very clean and open, with a fine, smooth response, a wide orchestral spread, and a decent dynamic thrust. My only quibble is that the sonics are a trifle muffled, clouded, as though we were sitting a little farther back in the auditorium than I'm used to, and a little farther back than the orchestral spread would lead us to believe. Anyway, these adaptations and continuations stand on their own, not as historical pieces of music, naturally, but as pure entertainment. Sir Simon Rattle, City of Birmingham Symphony Orchestra. EMI 50999 2 06876 2 5. 2-disc set. I hope this question doesn't sound sacrilegious, but am I the only person in the world who thinks Simon Rattle did his best work years ago with the City of Birmingham Symphony Orchestra? I mean, now that he's doing mostly live recordings with the Berlin Philharmonic, he seems to have gotten more predictable, even staid. Maybe it's just me. Oh, well, we have recordings like this two-disc set of Stravinsky's most-popular ballets from Rattle and the CBSO to remind us how good he can be. While these may not be the absolute top recommendations for these works, they are very good, indeed, and reasonably well recorded. Things begin with The Rite of Spring, the music that caused such a sensation when it was first performed in 1913 and along with the First World War just shortly afterwards ushered in the age of modern music. The Rite's explosive gyrations in which a young pagan girl literally dances herself to death was something of a shock to early twentieth-century audiences, but today, through repeated listening and countless imitations, no doubt, it hardly raises an eyebrow. Rattle uses the 1947 revised edition, and he handles the atmospheric end of things quite well, with a nice sense of presence between the music's more-explosive sections. In the big percussive-led interludes, though, Rattle doesn't work up quite the frenzy of Georg Solti (Decca) or Riccardo Muti (EMI), so the performance as a whole doesn't seem as exciting as it might be. Still, Rattle is no slouch, either, and you get your money's worth. Petrushka, which Stravinsky wrote a few years earlier than The Rite and which he also revised in 1947, is another sound world altogether. It's dark and freakish in a way, the story of a puppet coming to life being rather creepy. The music alternates between showy, circus-type gypsy rhythms and the erratic pulsations of the hollow-headed creature around a brisk piano solo. Here, Rattle is at his best, capturing all the color and descriptive elements of the score that may just give nightmares to people who are afraid of dolls under their bed. But it was The Firebird that first put Stravinsky on the map in 1910, and Rattle does well by it. It is far more Romantic and melodic than the other two ballets, lighter and airier. Rattle's interpretation is precise and concise, straightforward yet appropriately moody. The only problem, if there is one, that you mustn't under any circumstances put Antal Dorati's old Mercury recording on next to it because nothing compares. What seemed like a perfectly delightful reading by Rattle will dissolve into the merely adequate next to Dorati's magic. Anyway, the EMI sound is firm, clean, warm, moderately distanced, sometimes mellow, yet well defined in a most natural way. 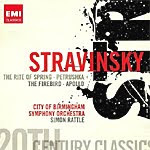 I felt The Rite of Spring could have used a touch more dynamic impact and a stronger bass, but it's OK; Petrushka comes off a little too bright and forward; and The Firebird seems almost perfect until you hear the ultimate transparency of the Mercury recording I mentioned. As a filler, we get Apollo, which comes off as second-tier Stravinsky compared to the big three, although it, too, gets a refined recording. The entire set, studio recorded, is preferable sonically to most of Rattle's later live recordings in Berlin, with their vaguer acoustics. For buyers seeking all three of Stravinsky's popular ballets, this two-disc EMI set is something to consider. However, be aware that Colin Davis also has a very nice two-disc set available at mid price on Philips, and, of course, buying all three ballets separately is still one's best bet in first-choice considerations. 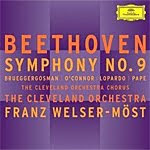 Measha Brueggergosman, Kelley O'Connor, Frank Fopardo, Rene Pape; Franz Welser-Most, the Cleveland Orchestra. DG B0009661-02. I've always liked maestro Franz Welser-Most. He made a big splash on EMI records some years ago and then sort of disappeared from the scene. It's good to see him as the Music Director of the Cleveland Orchestra and hear another of his recordings, this time on DG. Welser-Most's performance of the Beethoven Ninth Symphony is, like much of the conductor's work, sensitive and moving. He takes most of the tempos at extremes, either fast or slow, which may infuriate some listeners and delight others. Certainly, there is nothing routine about the interpretation. The third-movement Adagio is especially gracious and lovely, and the choral finale generates about as much excitement as any you'll hear on disc. The snag is the recording. DG did it live, which for me is often the kiss of death. Although it is smooth in the midrange and strongly dynamic in its impact, the highs are more than a bit bright, the upper bass is woolly, the deep bass is wanting, and the whole affair sounds shrouded and veiled. Compare Solti (Decca), Zinman (Arte Nova), or Bohm (DG). To ensure that the mood is broken at the end, DG include an eruption of applause for Welser-Most, which always reminds me of producers using laugh tracks on television comedies. Moreover, DG provide the album with one of the most god-awful covers I've seen in ages: large, alternating light and dark purple squares with the words "Beethoven Symphony No. 9" and other details spelled out in orange letters. Purple and orange. Just the ticket for Beethoven. Various artists and recordings. FIM K2 HD 078. In the last sixty years, recorded sound for home use has gone through any number of changes, from the extended-frequency-range, long-playing albums of the late 1940s to stereo in the 50s to noise reduction in the 60s to quadraphonics in the 70s to digital CDs in the 80s to today's multichannel SACDs and their like. Of course, not everyone sees these changes as improvements, just as not everyone hears any difference in HD or XRCD processing and regular disc technology. But, I tell you, if anyone is going to be on the cutting edge of high fidelity, it's going to be our old friend Winston Ma and his First Impression Music company. Maybe that's why after giving us Super Coding and XRCD masterings, he's now into K2 High-Definition coding. "This Is K2 HD Sound!" contains sixteen tracks that producer Winston Ma selected from the master tapes in his collection, most of which he has previously released, transferred to disc using other technologies. Here, they sound better than ever. Let me highlight just a few of the selections I admired. Things begin with the Dance No. 1 from Rachmaninoff's Symphonic Dances, Eiji Oue conducting the Minnesota Orchestra in a 2001 Keith Johnson/Tam Henderson Reference Recording. It displays a tremendous dynamic range, a resounding bass, glistening highs, and a sharpness of detail in the midrange that is indicative of the whole K2 process. The recording has the kind of transient oomph most of us remember from moving-coil cartridges of long ago, but, more important, it is far smoother and more natural. It's an impressive start to the album. Another track I enjoyed (well, OK, I enjoyed them all, but in particular) was "Stardust," another Johnson/Henderson collaboration, this one recorded in 2006 at Fantasy Studios in Berkeley. In it you'll find the sound of a rock-solid bass fiddle and some of the purest accompaniment around. Next, Wei Li, master of the guzheng, plays "Amazing Grace." The guzheng is a kind of Chinese zither, a string instrument that one plucks, and being plucked and recorded at Skywalker Sound in 2006, it probably never sounded better. From the 1972 album "Esther" comes "Kinderpiele," the recording embracing a breathtakingly beautiful female voice with guitar accompaniment. The vocalist sings it in German, and even though I don't understand German and hadn't a clue what she was singing about, the song moved me close to tears. From Winston's "Grooving Classics" comes the "Habanera Fantasia" from Carmen, with Harold Farberman conducting, a piece I have always enjoyed; but it's upstaged by the very last cut, also with Farberman, of the Pachelbel Canon from a 1982 Vanguard Recording of percussion pieces. To say that it is exquisitely precise in its detailing would be understatement. Isn't this the way all music should sound on record? Geminiani: Concerto Grossi Nos. 4 and 12. Christina Day Martison, violin; Martin Pearlman, Boston Baroque. Telarc CD-80698. It's The Four Seasons. It's the Boston Baroque. What's not to like? 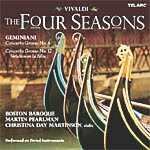 Well, the question is whether this particular Four Seasons is any better than the three or four or six or eighty-six versions of Vivaldi's perennial classic you've already got in your collection. The answer is, Probably not. It's very good, mind you, and it takes its place among the best available, but there are so many different interpretations with so many configurations of players and instruments, it's hard to recommend a definitive choice. Let's just say that this performance, played on period instruments by a relatively small group of performers, is lively and acute but never frenetic or stodgy. Some listeners, though, might prefer more conventional approaches, say, by Itzhak Perlman and the London Symphony (EMI) or by an already established best-selling chamber group like Marriner and the Academy of St. Martin in the Fields or by a more straightforward period-instruments group like Pinnock and his English Concert (DG Archiv) or by a more aggressively imaginative period-instruments group like Sparf and the Drottningholm Baroque Ensemble (BIS) or by a more intimate period-instruments group like Kuijken and Le Petite Bande (Sony). Lots of choices. Nevertheless, Martin Pearlman and his Boston Baroque band are quite a lot of fun to listen to, colorful and spirited in every way; plus, they add some of their own ornamentation to several movements, which makes them a little different. What's more, Telarc engineers have captured a warm, full, wide acoustic for them, without the recording sounding in any way cavernous or tubby or foggy. There is decent clarity here, and a fine sense of presence to the music. Besides, there are two interesting fill-ups on the disc in the form of Francesco Geminiani's Concerto Grosso No. 4 and Concerto Grosso No. 12 ("Variations on La Follia") that are both quite absorbing. Maybe the disc isn't an absolute number-one choice in a Four Seasons, but it's worth a listen in any case. The following recommendations are personal favorites of mine derived from many years of listening and comparing. I tried to base the suggestions on both performance and sound, so most of them are stereo recordings. If you don't see your own personal favorites among my listed items, it's either because I've never heard them or because I've heard them and didn't care for them all that much. Naturally, I'll update the list as new and interesting recordings come my way, and I always welcome comments and suggestions. For beginners in the classical field, I have indicated with an asterisk (*) those works a person might best begin with.